Getting up early to see the floating market was well worth it. The colors, the food, the homes along the edge of the water. 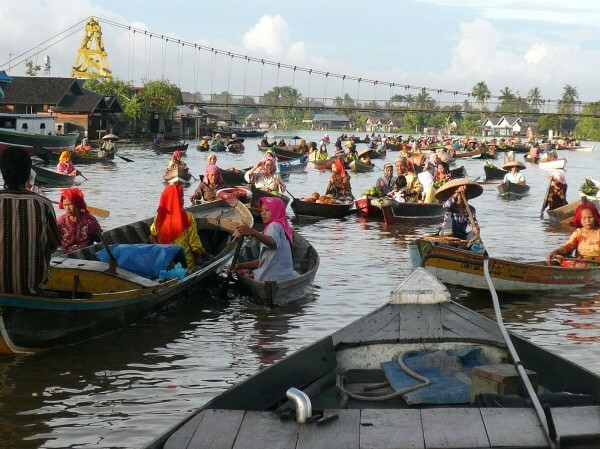 I loved the traffic of the boats and the community scene–very different than going to market in Los Angeles! During our year away in 2008-2009, we were in Indonesia twice each time for a month. We went from Malaysian Borneo (Sipadan) and traveled along the coast of Kalimantan to Banjarmasin. We had some great adventures. We left this month (July 2012) for career break TWO! See our latest news at www.wesaidgotravel.com or follow us on Twitter at @wesaidgotravel. 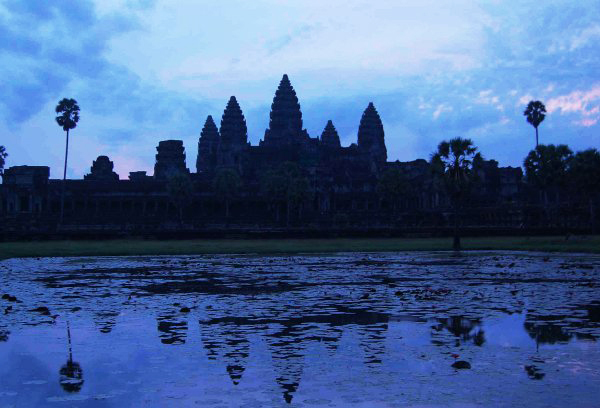 Today’s Photo Friday of Angkor Wat comes from Jannell Howell, a past Meet, Plan, Go! 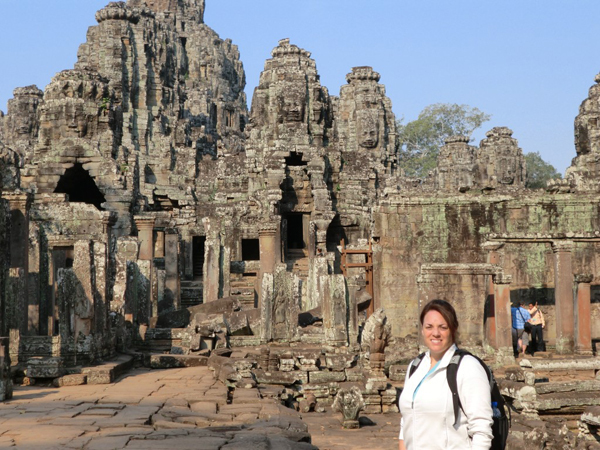 attendee, Basic Training member, and self-proclaimed “travel gearologist.” Angkor Wat is just one of many items Jannell has been able to check off her bucket list while traveling around the world on her career break. 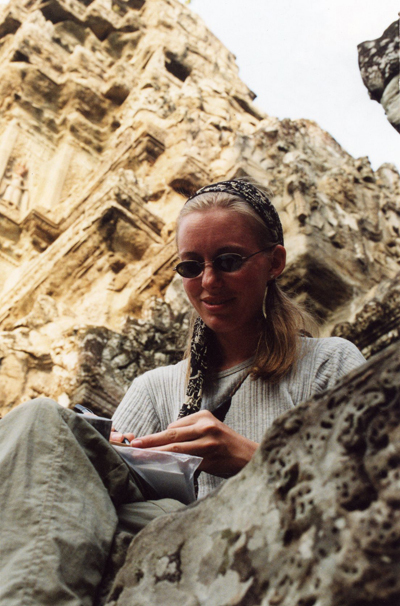 Jannell writes about her travels on Traveljunkie’s World Tour. This stunning Photo Friday comes from the Yee Peng Festival in Chiang Mai, Thailand and was submitted by fan Casey Engels. 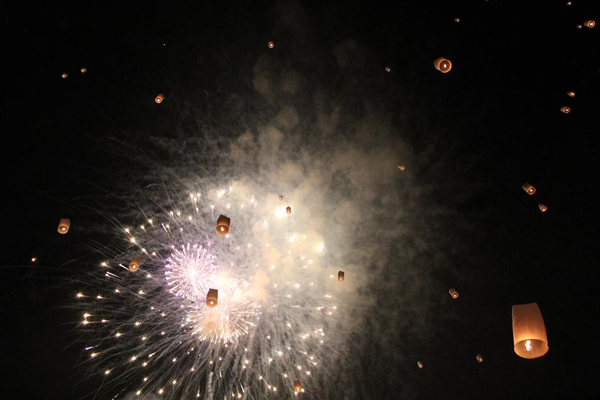 We agree with her statement that it is a surreal pairing of the calm floating lanterns and celebratory fireworks. You can follow their adventures on their site Wonder Wander. What international festivals or celebrations have you experienced during your travels? So you’ve decided to take some time off and travel. Congrats! Taking this first leap was probably not easy. Or maybe you’ve had this idea for a while and were just waiting for the right moment to set it free. Either way, we hope your travels are eye-opening and inspiring and the team at Intrepid Travel is here to help with the logistics of planning a career break trip. For 21 years, we’ve operated small group adventures, getting travelers like you off the beaten path to really experience a destination like a local. Maybe you have a dream destination or perhaps the world is your proverbial oyster. Either way, it is likely Intrepid has a trip for you, with over 1,000 trips in 100 countries. Spend a month exploring temples and beaches in Southeast Asia, then jump across to India to experience the fiery flavors and enchanting history of this eclectic region. Or maybe start off in Europe, checking out the Mediterranean flavors of Italy and Spain before hopping across to Morocco for a bit of Middle Eastern culture and desert adventure. From there, the vastness of Africa opens up, with gorilla treks in Uganda, safaris in Kenya, and treks in Tanzania. If you’ve always had your heart set on Africa, consider our epic 4-month long Cairo to Capetown overland journey, venturing through no fewer than 12 countries and seeing some of the world’s most amazing landscapes. Why consider a group trip with Intrepid? – Hassle-free:You have enough planning to do for your career break. Traveling with Intrepid takes the hassle out of planning local transportation, sight seeing, and accommodations. – Free time to explore on your own: You’re free to do as you choose; pursue your own interests one day and take part in activities we’ve arranged for you the next. – Local access: Traveling with Intrepid is like visiting a friend and having them show you around their city. Our group leaders are locals and know all of the best restaurants, shops, and nightlife spots not accessible to most tourists. – Something for everyone: Intrepid travels to over 100 countries on all 7 continents and have trips to fit every budget. – Safety: Traveling in a group tends to be safer than solo travel and our group leaders provide tips on how to explore your destination safely. 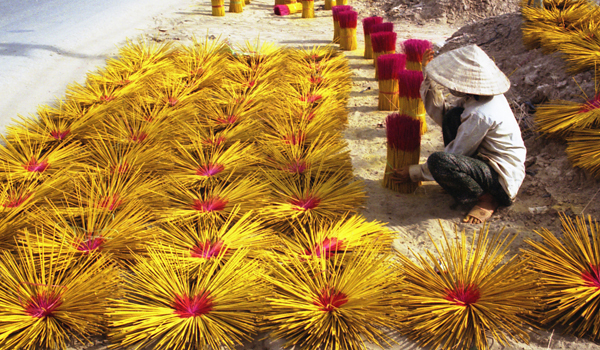 Intrepid is committed to traveling in a way that is respectful of local people, their culture, local economies and the environment. We recently became a carbon-neutral company, offsetting our carbon emissions on the majority of our trips. 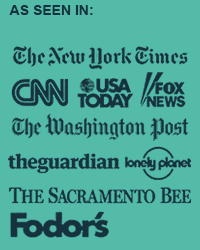 We are also members of the United Nations Global Compact, an initiative for businesses that are committed to aligning their operations with ten universally accepted principles in the areas of human rights, labor, environment and anti-corruption. Click here for more info on Intrepid or to book your small group adventure today! We are proud to have Intrepid Travel as an Exclusive National Sponsor for our 2011 Event. Intrepid will be giving away One (1) Grand Prize* consisting of a 10-day/9-night trip for 1 on their Classic Canada excursion. Register today for your chance to win. Intrepid will also be offering all attendees of Meet, Plan, Go! events discounts of up to 20% off their tours. Well worth the ticket price alone! This Photo Friday of Angkor Wat is from Adam Seper, who this week shared with us great advice on Preparing for Long-Term Travel with Your Partner. Angkor Wat was one of the many beautiful sites that Adam visited with his wife, Megan. But for him, the opportunity to experience them with Megan was the highlight of their career break. The pictures, blog posts, and memories of all the amazing places we went, people we met, and experiences we had are all fantastic. All are things I remember every day and will reminisce about forever. But more than anything, I am grateful that I created all these memories with the woman I love most in this world.